I wish to thank Crystal And Daisy Mae for the honor bestowed on my blog for this nomination. Crystal, I am so sorry for taking this long to follow through and responding, but here I am now. List the rules and display the brotherhood of the world bloggers award logo in your post and/on your blog. What pet(s) do you own? Unfortunately no pets at present. What made you choose the name of your blog? I am always looking “hunting” for a new recipe and trying to modify a recipe to GF and vegan. This is the most difficult part of accepting an award. 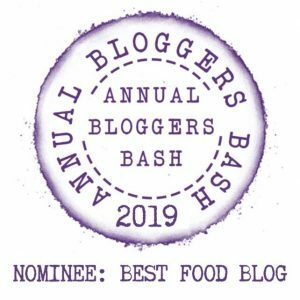 If you are reading this post up to this point, and wish to claim this award for your blog, please accept this as being personally nominated. Where do most visits to your blog come from? Name the most special moment in your life. What is the principle/s that you live by? Name your dream vacation destination? You deserve this honor.Thanks for doing it Congratulations. Liked your answers. Thanks Crystal, you’re so kind. Congratulations, dear Esme! Award is very richly deserved! Hi Funky cat – so good to hear from you again and thanks for your kind words. Hope all well in your neck of the woods. All is well, just very busy. How about yourself? All good at this end as well! Still working full time and busy with FB groups, Senior Salon etc. but not complaining. Good for you, dear friend; keeps you young! Thanks my friend. Feel free to accept as being nominated. Thanks Eugenia. Please if you wish, accept this notification as being nominated!